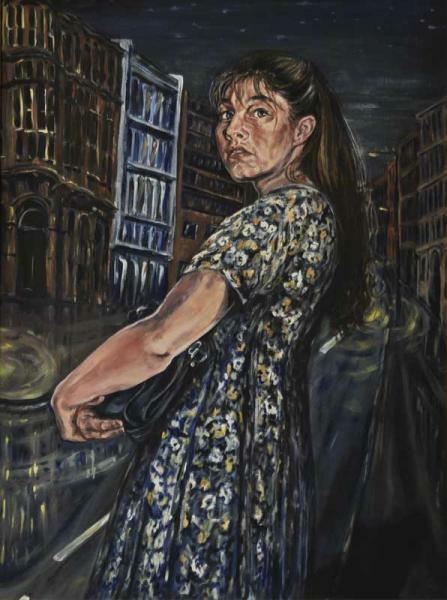 After attending the yearly marches which are to represent women expressing their right not to fear attacks in the night time and to be able to go out alone without fear, this painting expresses reality of the next night. The girl leaves work late and while waiting for a ride, thinks she has heard something. Nothing has changed.